Krachtmeetsystemen | euro HÜBNER benelux b.v.
Bij continue baan productie, verwerking of bewerking, zijn twee factoren van cruciaal belang voor de kwaliteit: constante baanspanning en baanpositie. Closed loop regelsystemen voor baanspanning en baanloopregeling waarborgen de hoogste kwaliteit van het eindproduct. - Nauwkeurige krachtmeetsensoren tot 20x overbelastbaar zonder recalibratie. - Precisie baankantsystemen met ultrasone, optische en lijnsensoren. - Bandweegsystemen voor nauwkeurige gewicht- en/of volume meting van verwerkte bulkgoederen. - 1-op-1 vervanging voor Philips & ABB krachtmeetblokken. - Nauwkeurige krachtmeetsensoren. - Optimaal beschermd tegen mechanische overbelasting. - Nauwkeurige baankantsystemen met ultrasone-, optische- en lijnsensoren. - Veelal in RVS uitgevoerd. - Elektronica beschikbaar voor diverse gestandaardiseerde industrie signalen. 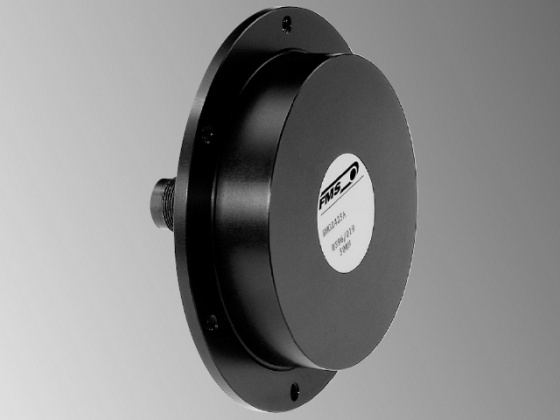 The LMGZ series tension sensors offer the highest accuracy, reliability, and durability in the industry. The ultra flat sensor can be used in the most stringent space conditions. The dual flexion beam sensors of the C203 series set new benchmarks with regards to precision, reliability and economic efficiency. 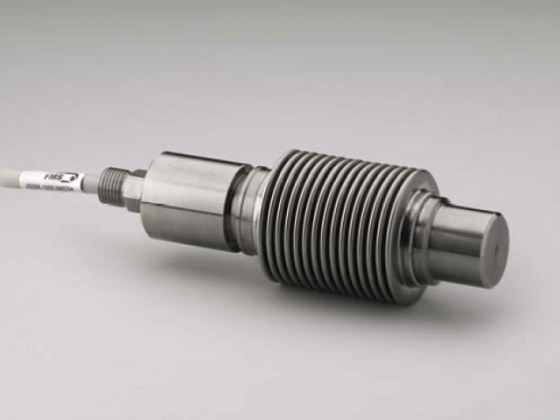 The CA203 series is made for dead shaft applications. 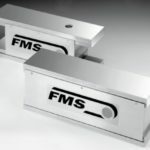 FMS dual flexion beam technology sensors set new benchmarks with regards to precision, reliability and economic efficiency. Nominal forces from 28-337 lbs. 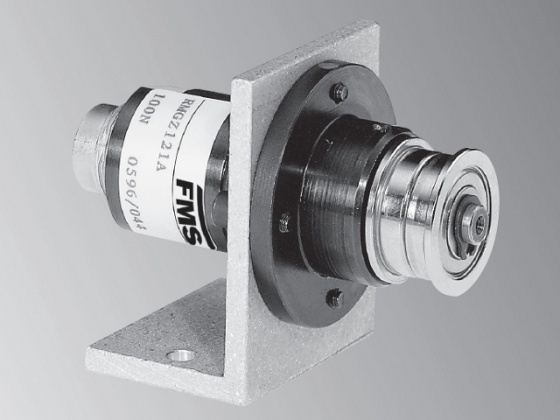 The F202 Series Force Measuring Sensor is for use in live shaft roller applications where limited space is available. Their slim design provides a new option for accurate web tension measurement on machines where wider sensor designs simply did not fit. The sensor is easily mounted to the machine side frame with two shoulder bolts. The LMGZ.D double range force measuring bearing sensors offer the highest accuracy, reliability, and durability in the industry. Especially when processing widest kinds and widths of materials. The UMGZ force measuring blocks are ruggedly constructed, accurate and very reliable. They are used in normal and dry ambient conditions. The UMGZ.P force measuring blocks are a first-rate substitute for the discontinued Philips products PR 9951/52. They are with regards to the outline dimensions and mounting holes 1-to-1 compatible with the former Philips blocks. UMGZ.P blocks feature all typical characteristics of FMS products like simplicity, quality and enduring precision. They are the ideal sensors for a retrofit. 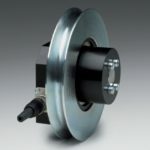 These force sensors are perfect for difficult ambient conditions, e.g. cooling water, wet paperpulp, high temperatures, humidity, acids and bases. They can be used in virtually any wet environment. The measuring sensors are integrated in the roller and measure the forces which are acting on the roller in an accuratly and effective manner. 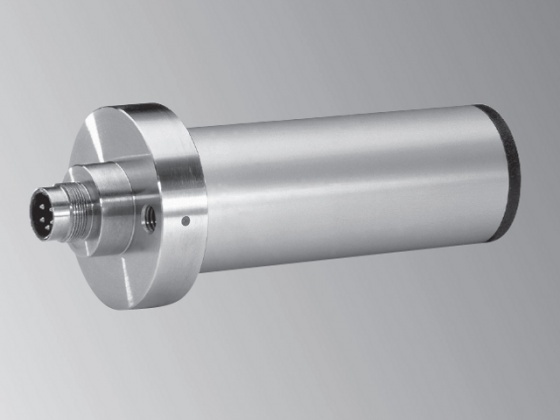 The RMGZ900 series force measuring rollers are designed as self contained cantilever mount sensors that minimise machine space requirements in continuous material processing applications. 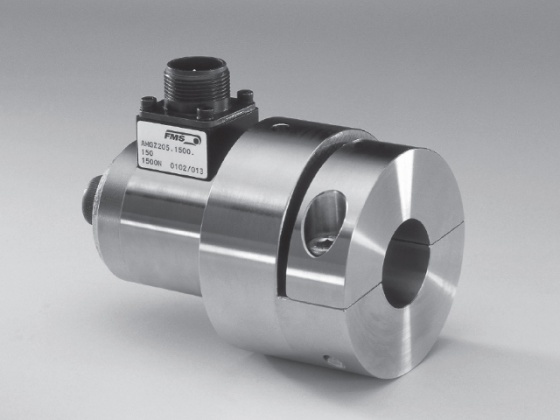 The RMGZ900mini series sensors are designed as self contained cantilever mount sensors that minimise machine space requirements in narrow material processing applications. 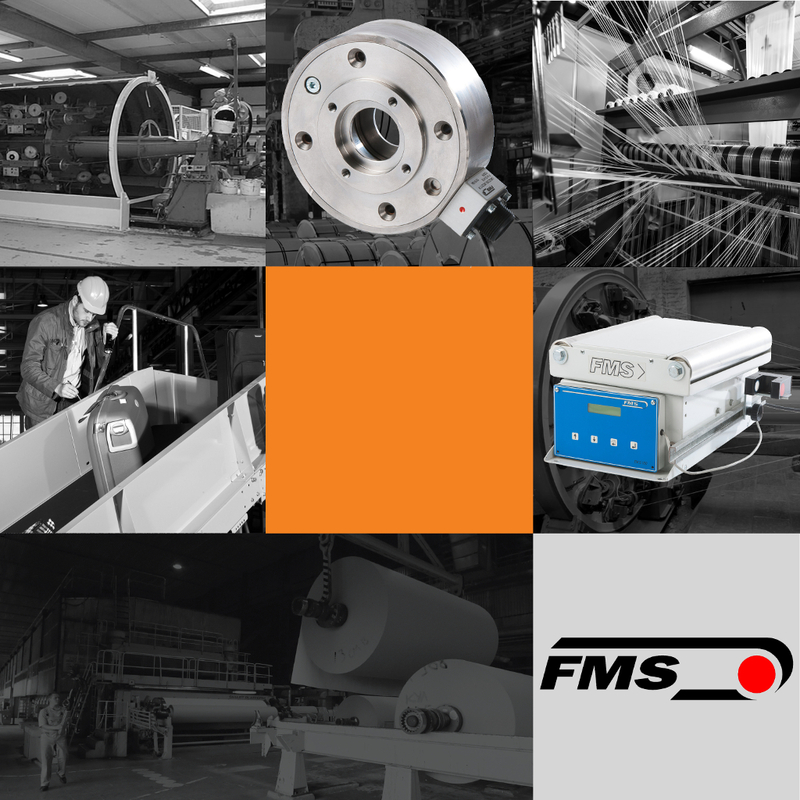 The FMS force measuring rollers of the RMGZ100 series are used to measure the tension in ropes, cables, wires and narrow web materials. 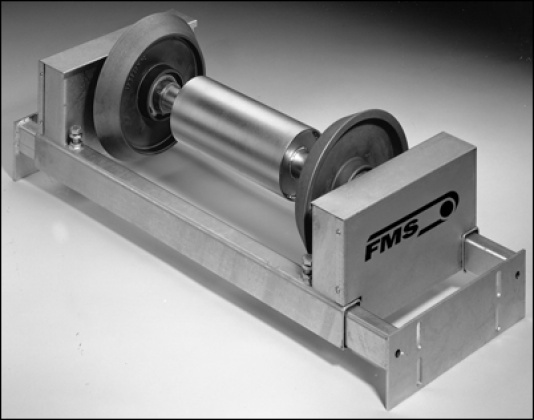 FMS force measuring rollers of the RMGZ300 series are used to measure the tension in ropes, cables, wires and narrow web materials. 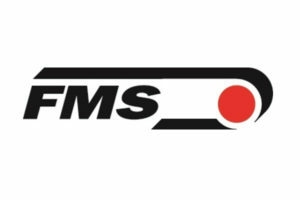 FMS force measuring rollers of the RMGZ400/600 series are used to measure the tension in ropes, cables, wires and narrow web materials. The force measuring rollers of the CR 208, CR 210 and CR 212 Series are ideal devises to measure tensions in wires, cables and narrow flat materials. 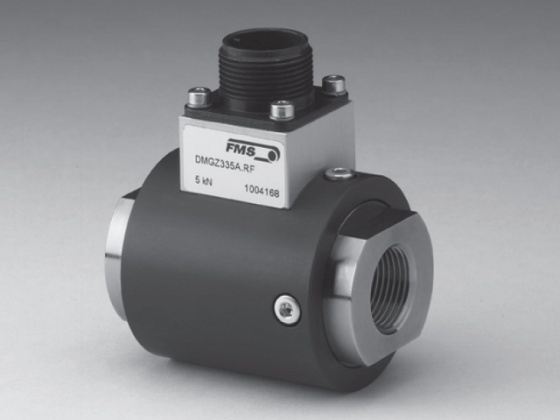 The DMGZ300 series load cells measure force in the direction of the center axis of the sensor. 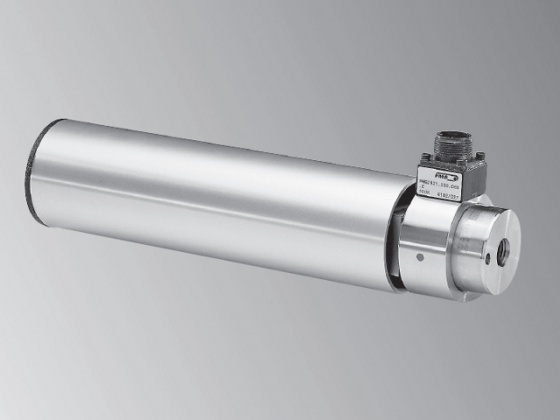 The AMGZ Series sensors are designed as dead shaft sensors to allow easy roller change in continuous material processing applications. 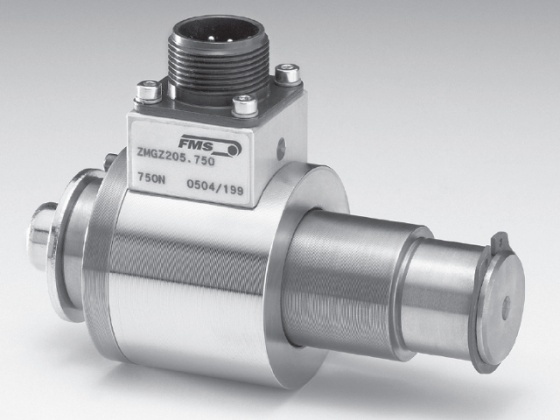 The ZMGZ series force measuring journals are used to measure the tension in continuous material processing. 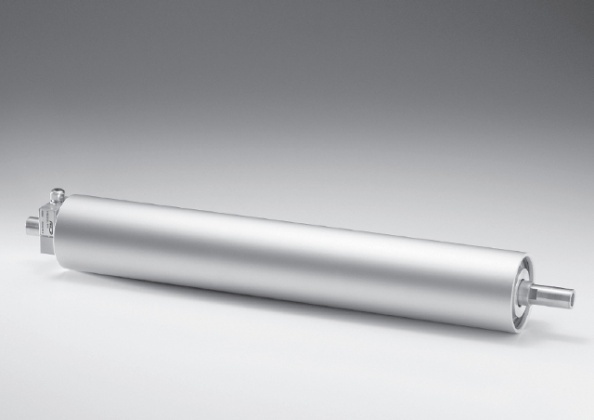 Force measuring journals are utilized with rollers that have an internal bearing. 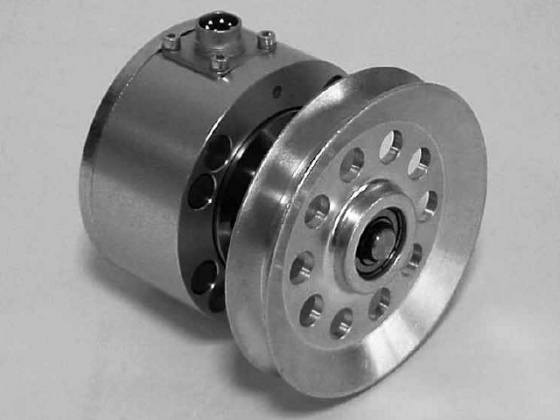 A bearing mounts to the bearing seat of the load cell and fits inside the roller. JG205 is ideally suited to work under the most stringent environmental requirements, where the exposure to aggressive chemical additives, high temperatures and humidity are factors. Thanks to its special compact and durable design these sensors are effectively used in textile applications. 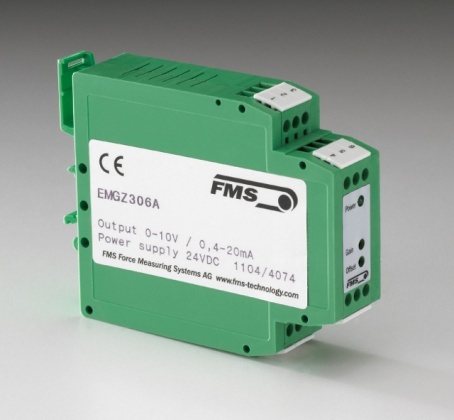 EMGZ321.EIP amplifiers are an innovative enhancement of the successful EMGZ321 series. 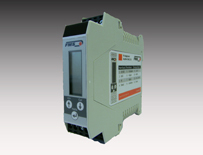 With a built-in EtherNet/IP field bus the electronics offers data transfer with cycle times down to 2ms. 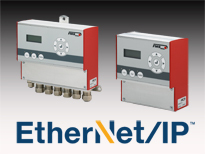 The fast data rates enable real time tension control over Ethernet. This two channel strain gauge amplifier measures the material tension on both sides of the roller independently. Thus it is possible to monitor the load distribution over the measuring roller with great accuracy. The amplifier EMGZ 490 has been designed to work in PROFINET RT networks. Its field of applications is in production lines where tension of moving webs needs to be monitored or controlled. Making full use of the PROFINET RT features this amplifier can cope with very fast applications. 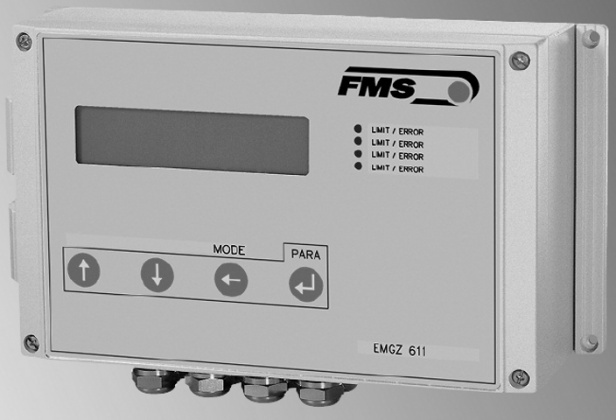 The digital tension measuring amplifier EMGZ 310.ComACT is suitable for tension measurement with all FMS force sensors. 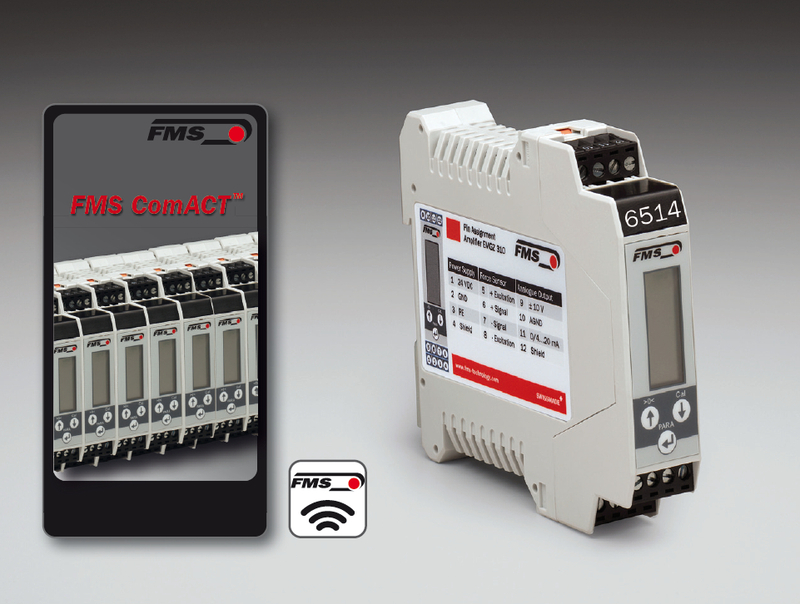 This versatile product includes the latest technology and can substitute for all single channel amplifiers (1 measuring point, 1 or 2 force sensors).The free FMS ComACTTM app is available for download for IOS and Android devices, and makes parameter setting and value reading as efficient and comfortableas never before. This versatile product includes latest technology and can replace the previous generation of analogue pot adjustment units. Setup is straightforward. All parameters are easily accessible via three keys. 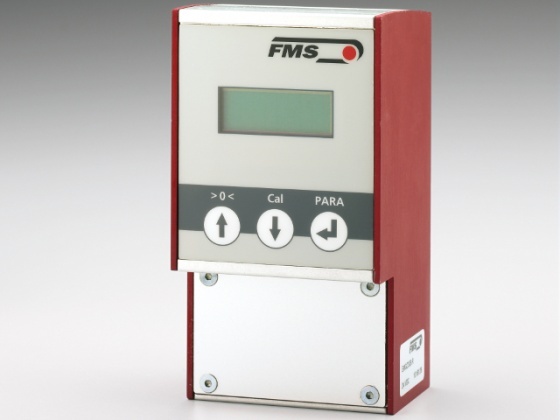 Calibration and offset compensation is done via the alphanumeric display efficiently and with high precision. Digital plug & play amplifier with Ethernet capability. Parameter set-up is carried out either via the 3 keys or through a web browser. EMGZ309.EIP amplifiers are an innovative enhancement of the successful 309 series. They are available with a built-in field bus based on EtherNet/IP technology (CIPTM Common Industrial Protocol IEC61158). 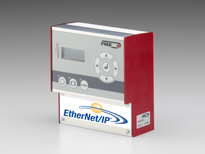 The popular EtherNet/IP bus offers data transfer with cycle times of ≥2ms. 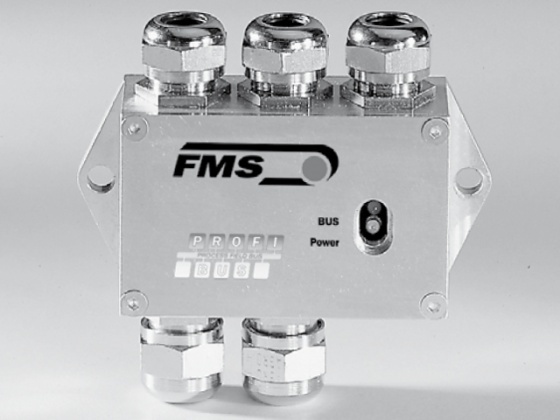 The fast data rates enable real time tension control over the bus and improve considerably performance and connectivity of the products. The EMGZ321, a left/right strain gauge amplifier, measures the material tension on both sides of the roller independently. Thus it is possible to monitor the load distribution over the measuring roller with great accuracy. This high-grade product comes as a plug & play unit and is easy to setup. More advanced users can access all the internal parameters via a clearly arranged front panel, through an Ethernet/IP interface, or in a peer-to-peer configuration from a laptop or local PC. Standardised analogue outputs Multiconnectable with PLC, display etc. 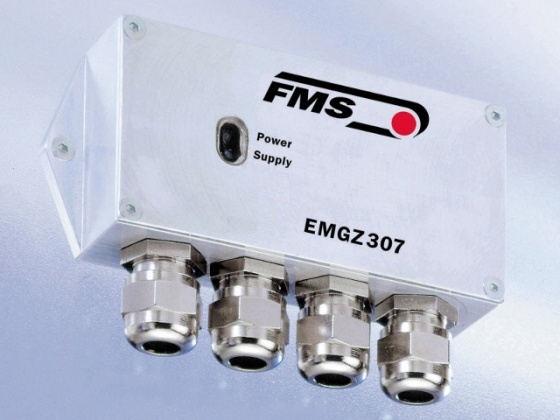 The EMGZ 307 series is a single channel analogue tension measuring amplifier in a robust aluminium housing. Multiconnectable with PLC, display etc. 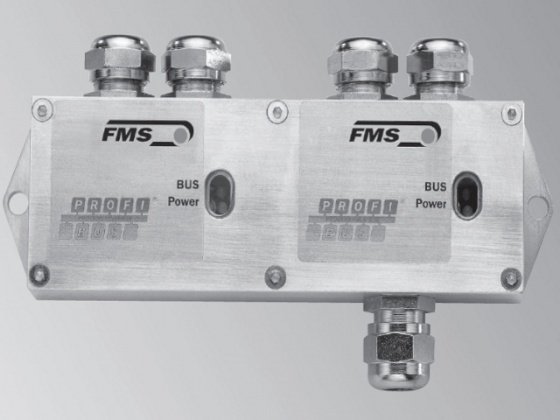 The EMGZ470/472 is a single channel, digital tension measuring amplifier with integrated PROFIBUS® interface. 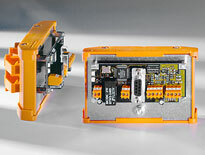 Tension measuring amplifier with PROFIBUS® interface made for DIN rail assembly. 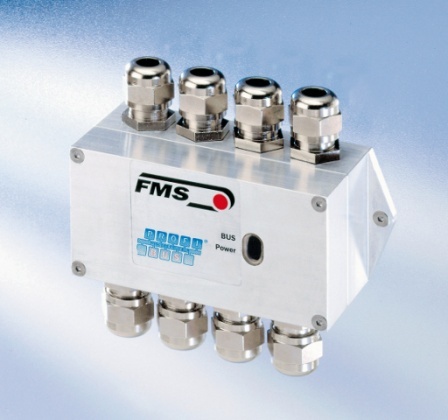 Tension measuring amplifier with PROFIBUS® interface in a robust aluminium housing.. 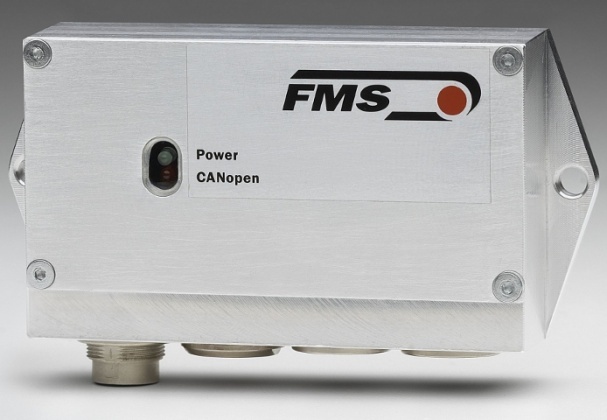 In the tension measuring amplifiers of the EMGZ480 series parameter setting and data transmission are performed via an integrated CAN-Bus interface using the Open CAN CiA-DS 301® protocol. The amplifiers come in rugged, resilient aluminium housings. 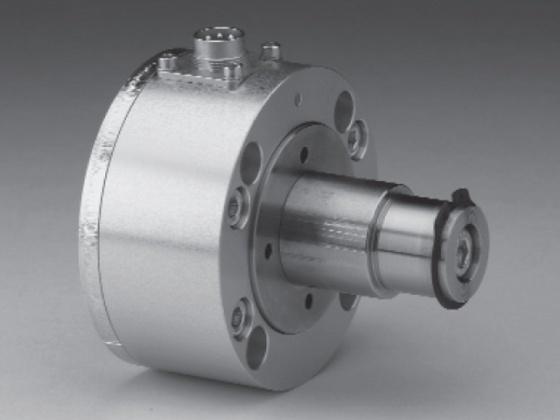 They were designed for dependable operation in rotating stranding machines for the most demanding environments. Microprocessor controlled tension measuring amplifier for up to 4 channels with user programming keys, LCD display, robust housing and several special functions built-in. 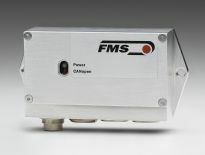 The CMGZ309 tension controller responds to a broad range of missions. Its field of application is in production lines where moving web products are manufactured, processed or finished. All internal parameters are also accessible through a web browser. 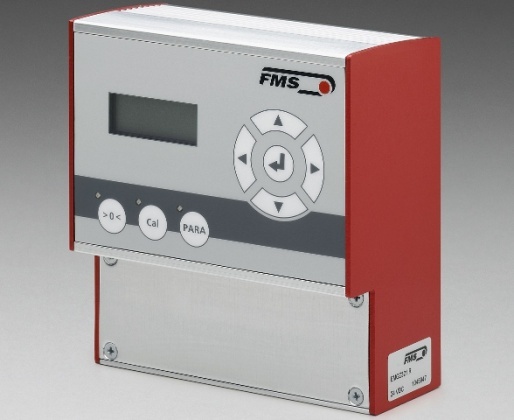 The CMGZ309 is a versatile and economic PID tension controller that solves even your most demanding control tasks. Easy to operate and provides flexible set-up. 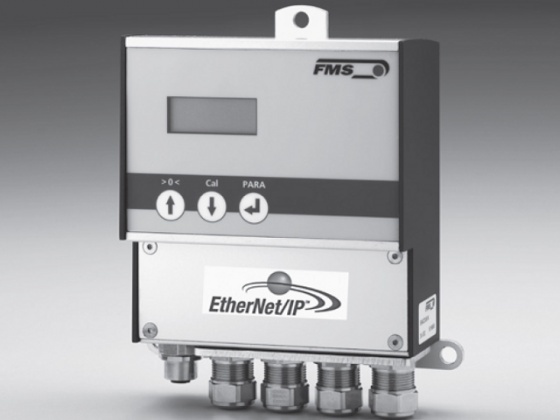 The CMGZ309.EIP is a web tension controller with integrated EtherNet/IP bus interface. The fast data rates enable real-time tension control via your in-house Ethernet network. Design and functionality of this electronics is optimised for precise close loop tension control in web processing machinery. Straightforward integration in Ethernet networks, possibility of real time control over the field bus. Thanks to its specific features the controller CMGZ 480 is ideally suited for fast application e.g. in stranding machines. They were designed for dependable operation in the most demanding environments. The rugged, resilient aluminium housings is sealed and rated for a protection class of IP67. Many processes require material webs whose positions are precisely guided. 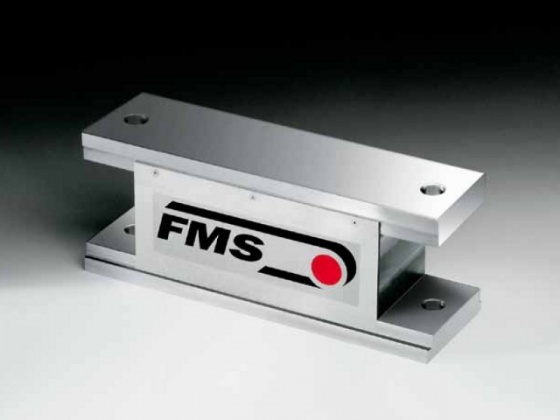 FMS web guides detect the position of the material with web guide sensors, calculate the deviation from the reference position, and maintain the material at the required position with a steering frame actuator. 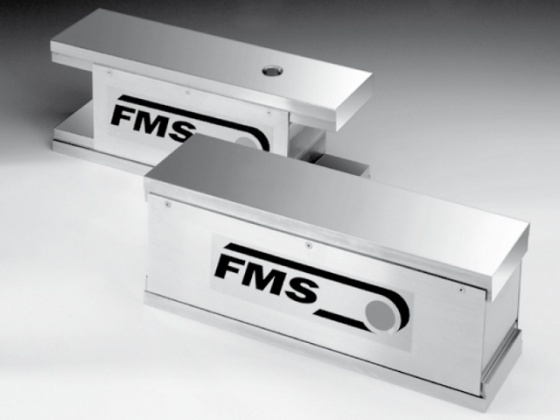 FMS's wide range of web tension control and web guiding products offer many possible modular combinations to cover virtually all applications. The price - performance ratio of the BKS015 it’s hard to outdo for narrow web applications. The electronic control unit is integrated into the steering frame. The ultra-compact web guide provides enhanced material control for increased line speeds and improved quality. It is the ideal solution for existing as well as new narrow web production lines. 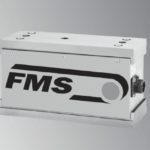 The steering frames of the FMSwebMASTER 020 series have been specifically developed for use in narrow web applications such as: label printing presses, small slitters and rewinders, film conversions, small packaging lines, etc. They are characterized by a compact and robust construction and are available with the controller integrated into the frame on either side. The Steering Frames of the BKS 030 series were designed to cover the middle material range with web sizes from 500 to 1700 mm (20” to 67”). They are used in label printing presses, slitters, re-winders, film conversion and extruding equipment, packaging lines and many other applications. 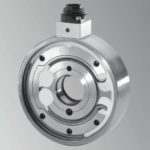 With their backlash free operation and high positioning precision they are the optimal solution to meet even your most demanding control needs. 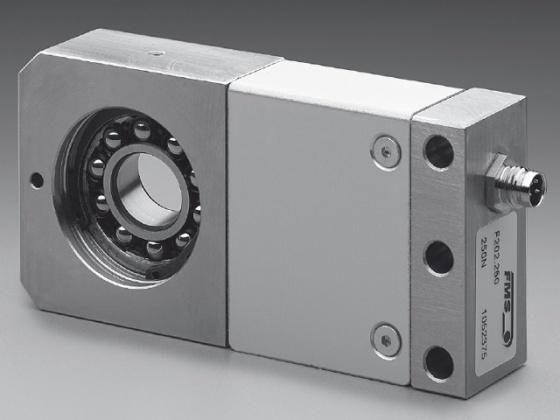 The BKS015 EE is the ideal solution for existing as well as new narrow web production lines. This ultra-compact and cost-consciously design with external electronic unit solves the most demanding mounting issues in your machine. The belt scales of the BMGZ-series weighs every kind of bulk goods, such as sand, gravel, broken stones, coal, building rubble etc. 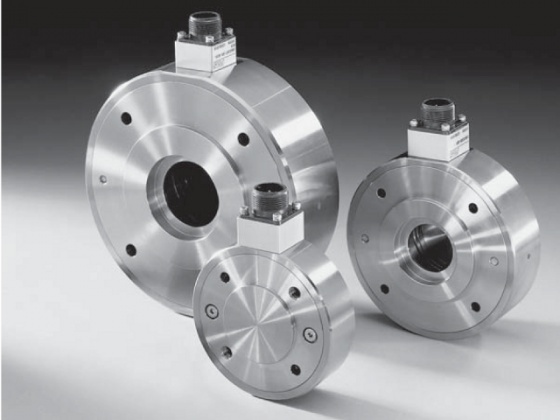 The measuring stations are thank their hermetically sealed components, their contact-less belt speed detection and their rugged design well suited for the extreme ambient conditions of this industry. BMGZ belt scales are very durable, accurate and reliable. Owing to their universal assembly parts and their compact dimensions they can be easily mounted in nearly every conveyor or mobile crasher. Verschillende interfaces zorgen voor een naadloze communicatie met een master processing unit (PC), externe teller en doseer systemen. The innovative RTM systems captures wire tension data in cables, ropes, and single strands during processing on rotating machinery. 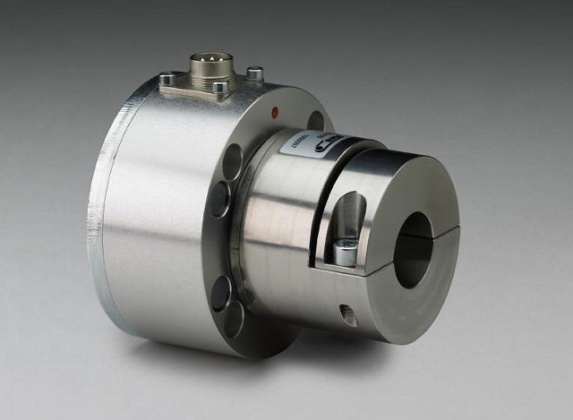 A load cell is used on each strand to obtain an actual tension value, and the relevant data is then transmitted from the rotating part of the machine to the static part in real time. 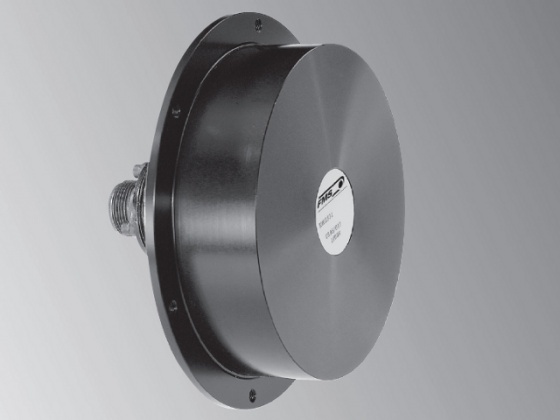 The wireless signal transmission uses the public 2.4GHz frequency range and proprietary coded protocols ensure high reliability and security, thus eliminating the requirement for costly and problematic slip rings. 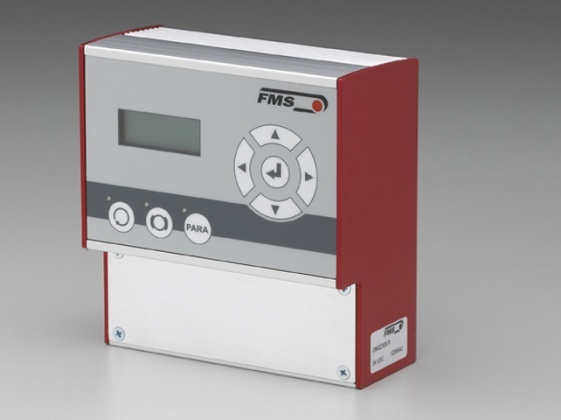 A sophisticated and flexible interface concept allows quick and easy integration of the system into the existing control and communication infrastructure of the machine. The RTM system is available in various configurations, and thus one can be selected to best suit the data collection requirements when upgrading existing stranding machinery to the latest technology. In the case that an older machine does not have electrical power on the rotating section a rechargeable battery is available. Because the RTM systems are optimized for low energy consumption, an extended running time on battery power is possible. The system provides a perfect base for efficient cost and quality management for the cable producer as well as the machine builder.